Marco Oppedisano is a composer, guitarist and producer with ample recording and performance experience as a guitarist in music ranging from rock/pop, jazz, hip hop, club/dance music, contemporary concert music, free improvisation, film music and musical theater. Oppedisano has recorded with the BIOS trio and performed with various contemporary music ensembles and musicians in the New York City area. He has had works performed by the Fireworks Ensemble, Glass Farm Ensemble, Morris Lang and The Brooklyn College Percussion Ensemble, The Zyryab Guitar Quartet of Portugal, and distinguished guitarists; Oren Fader and Kevin R. Gallagher. He has recorded for Capstone Records (Vox Novus 2003 60x60 project), performed in Glenn Branca's pieces for 100 guitars and in the US premiere of Guitars D'Amour. Oppedisano also is featured with Tom Buckner on an electroacoustic composition entitled, Hoodlum Priest by Noah Creshevsky (released on the Mutable Music label in 2003). 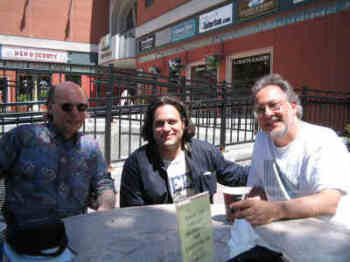 In October 2006, Oppedisano headlined concerts at Dominic Frasca's The Monkey NYC featuring his electroacoustic works for electric guitar and works for live electric guitar and CD playback. Television appearances by Oppedisano include an improvisation concert at Brooklyn College aired on CUNY TV in December 2005 and a special called Deadly Women that aired on the Discovery Channel in February 2005, featuring an opera scene by Dennis Bathory-Kitsz. He has done radio interviews for Kalvos and Damian (www.kalvos.org), and had works programmed on WMUA MassLive Martian Gardens, RTQE WORT-FM 89.9 Madison WI, CKCU 93.1 FM Ottawa Canada "Infinite Ceiling", KUNM 89.9FM College of Santa Fe, art@radio in Maryland, Contemporary Classical Internet Radio (live 365), and WOBC 91.5FM of Oberlin, OH. 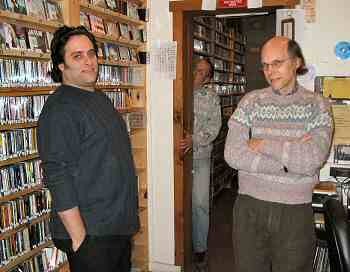 In September 2005 and December 2006, Oppedisano performed live with Josh Weinstein on WOR710s Joey Reynolds Show in New York City. 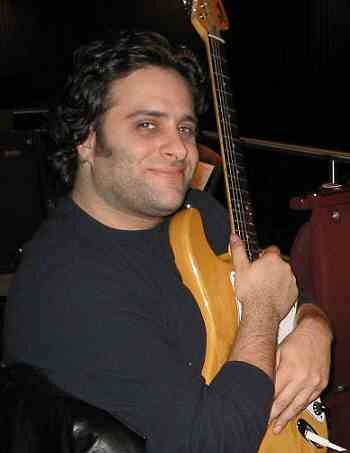 In December 2006, he performed with Josh Weinstein on Vin Scelsa's long running radio program, "Idiot's Delight." In October 2006, Oppedisano was featured in an online interview with Urban Guitar 'Zine and in April 2007, did a 15 Questions Interview with Tokafi. Oppedisano work as a producer and assistant producer include projects, FIRST FLIGHT, a solo classical guitar disc by the prolific New York City based guitarist, Oren Fader. He has worked as assistant producer on an album called DANCE MIX by the Fireworks Ensemble. His full length CD, ELECTROACOUSTIC COMPOSITIONS FOR ELECTRIC GUITAR was released in June 2007 on the OKS Recordings of North America label. 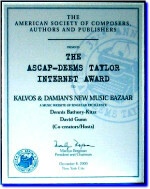 His works have been performed and heard in various areas around the world and are all registered with ASCAP. Oppedisano is a native of Brooklyn, New York. He holds a B.A in Music Composition from the Brooklyn College Conservatory of Music and an M.A in Music Composition from the Queens College Aaron Copland School of Music.